ST. JOHN’S, July 17, 2015 – Climate change has immediate, tangible impacts on public health and safety, as well as on infrastructure and the economy. At a time when initiatives aimed at fighting climate change also offer great potential for sustainable economic development and long-term job creation, Canada’s Premiers are, more than ever, showing leadership on this issue. In recent months, Premiers have met with renowned international experts to discuss the challenges that climate change poses and to improve our common understanding of the actions and approaches, including those in the field of mitigation and adaptation, used by each government, based on geographic characteristics and economic realities. The Climate Summit of the Americas took place in Toronto on July 8-9, 2015. The Summit brought together government representatives, experts, and members of civil society from federated states across the Americas. The Summit focused on the role of federated states in addressing climate change in the lead-up to the COP 21 meetings in Paris later this year. Premiers noted the recent announcement of the federal government’s intended 2030 target for reducing Canada’s greenhouse gas emissions (GHG). Canada’s development must be consistent with the goal of comprehensive and quantifiable GHG reductions. They urged the federal government to engage meaningfully with provinces and territories to determine how Canada can meet these targets, including by explaining the criteria used in setting those targets. 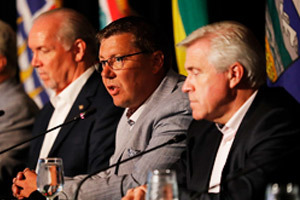 Premiers discussed the importance of joint action to adapt to and combat climate change. 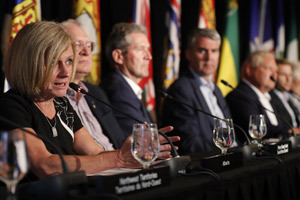 Premiers also discussed the significant role that federated states, such as provinces and territories, can play in contributing to the success of the 21st session of the Conference of Parties to the United Nations Framework Convention on Climate Change. 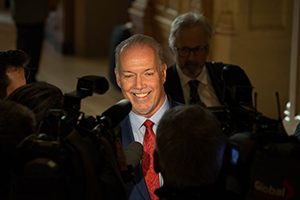 Premiers recognize that the cost of inaction is greater than the cost of action. 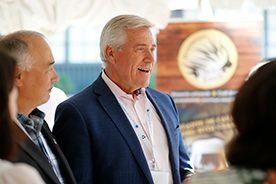 Therefore, Premiers are committed to implementing programs and measures to mitigate and address the impacts of climate change, which will also allow provinces and territories to fully seize economic opportunities and job creation through an accelerated transition to a lower-carbon economy. They will continue to work toward concrete solutions including technological investments such as the continued development of wind energy, carbon capture and storage, and innovations that reduce the reliance on diesel fuel in remote communities, as well as policy levers such as carbon pricing, hard caps on emissions from electricity generation, and renewable energy targets so that GHG emissions may be better taken into account in decision-making processes. 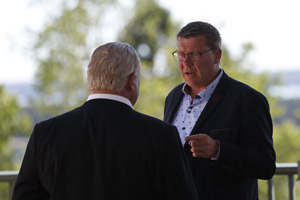 Premiers invite the federal government to work alongside provinces and territories to put in place a business environment which favors development and investment in green technologies, renewable energies and low- carbon products.